I'm quite the globe trotter, in Sydney for the last few years and a fond writer I'm exploring what the city and its surrounds has best to offer! I am always on the look-out for French Patisserie around Sydney – and I have finally found the golden pearl! 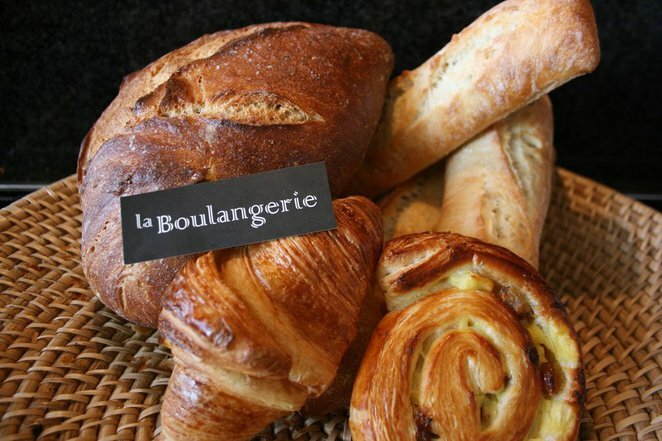 La Boulangerie ("The Bakery" in French) is going to give you an authentic and unique experience, from the croissant to the staff's French accent, you are sure to travel! Just let the smell of Fresh baked bread lead you in front of the splendid displays of cakes, baguettes, macarons, croissants and sweet or savory delicacies. This is the best place to go when you want to offer something special for a Birthday, Mother's Day or any celebration. The Pastry Chef made a customised cake for my little cousin's birthday party, which no-one will ever forget! Definitely the BEST French Bakery in Sydney – and at a fair price! Just go in Maroubra's Pacific Square shopping centre to find it! La Boulangerie is definitely the best bakery to come to Maroubra in a long time!